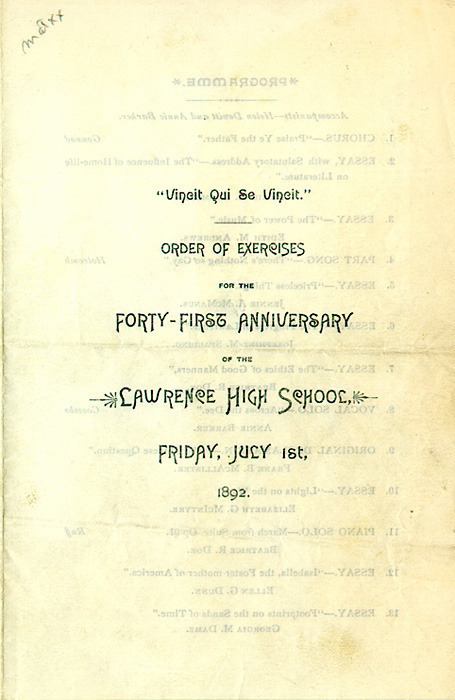 The graduation exercises included the "Class Hymn" with words by Robert Frost and an "Original Declamation with Valedictory Address" by him and an "Essay (of Valedictory Rank)" by his future wife Elinor M. White. 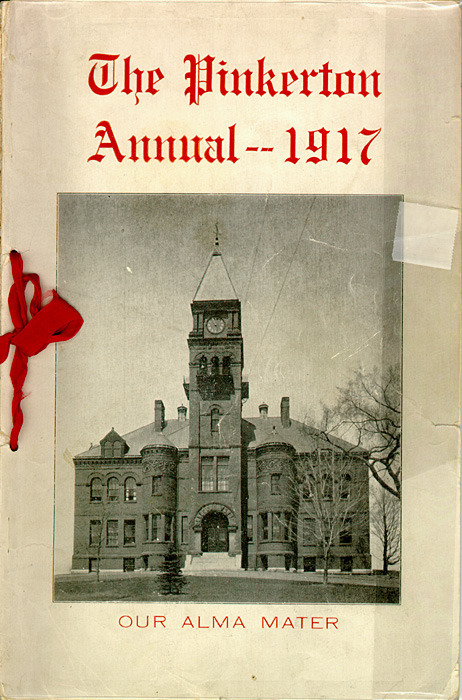 "Forest Flowers," an early poem by Robert Frost, was printed in The Pinkerton Annual -- 1917, published by the senior class of Pinkerton Academy, Derry, New Hampshire, where Frost taught from 1906 to 1911. 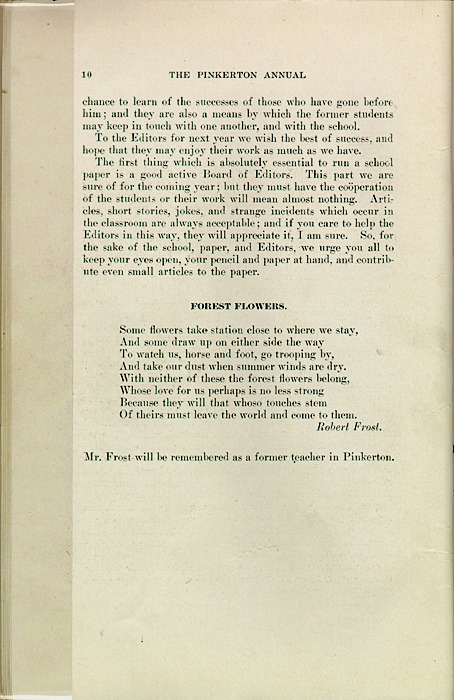 Beneath the printed poem on p. 10 is the note: "Mr. 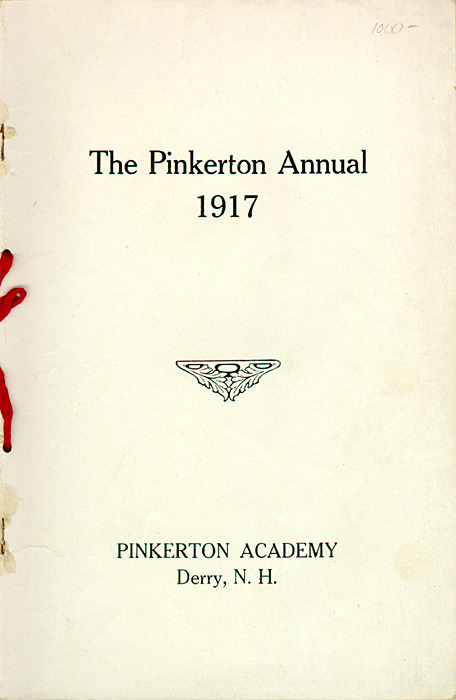 Frost will be remembered as a former teacher in Pinkerton." 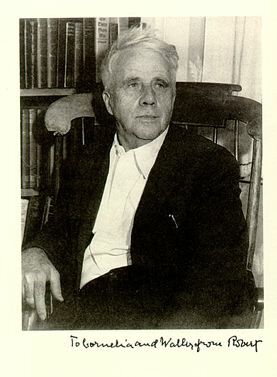 The 8-line poem was never collected in a Frost volume of poetry though a variant 10-line poem version was printed under the title "Tutelary Elves" in Lawrance Thompson's Robert Frost: The Early Years, 1874-1915.